It has come to our attention that Iran is sending cash to the government of Hamid Karzai in Afghanistan. We have decided to do the same because the Karzai government fits in perfectly with our plans. 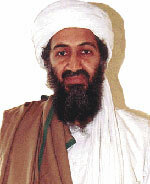 The goal of al Qaida is to enlist all Muslims in a worldwide jihad against the United States and its allies. Our overall strategy is to persuade America to send troops into Muslim countries. Inevitably, they will find themselves supporting an unpopular government, thus arousing the hostility of the people. The foolish infidels have already incurred many casualties in Afghanistan, more than they suffered in our September 11 attacks. While they suffer losses, al Qaida has nothing to fear, since we have relocated to Pakistan. The strategy is working better than expected. The Karzai government is perfect for our purposes, because it is corrupt, out of touch with the people of Afghanistan, and obviously a puppet of the infidels. This Karzai lives like a king with the foreigner's money, while his countrymen starve. He is even taking cash from the infidel's enemy, Iran. This makes the Americans look even more like arrogant fools. We are more than happy to support him.